WASP is taking one week break, then starting again to conclude the building. New researches on materials and system automation coming soon. Concluded the first part of the work, WASP is taking one week break, before starting again with renewed energy. “We have already proved that two men and one machine can 3d-print a comfortable and healthy shelter with extremely little money. 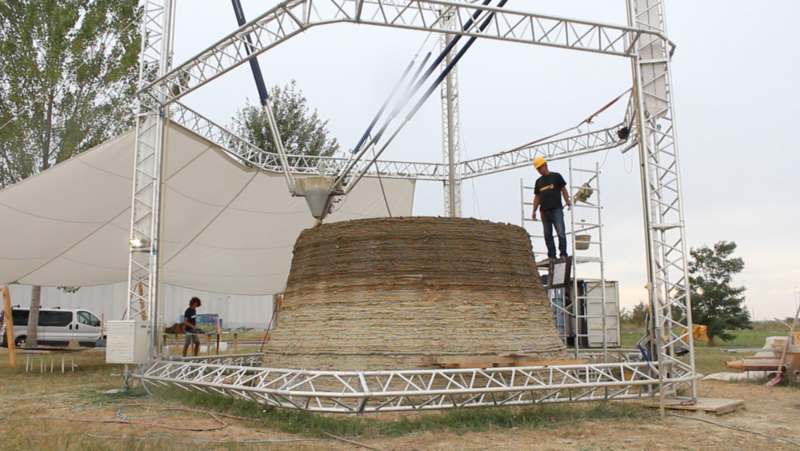 We are very satisfied of the results, even if we know there is still a lot to do”, says Massimo Moretti, WASP founder and creator of Shamballa Technological Village, the place where BigDelta printer, 12 meters high, has been assembled and started. 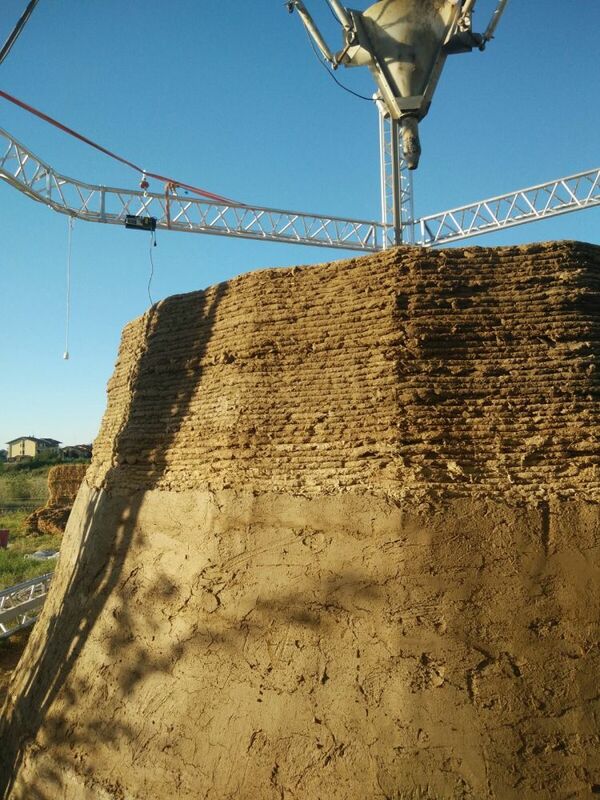 3d-printing for the first time in the world a soil and straw building, predictably, it’s been hard, extreme in some way, but at the same time incredibly exciting considering the results already achieved. 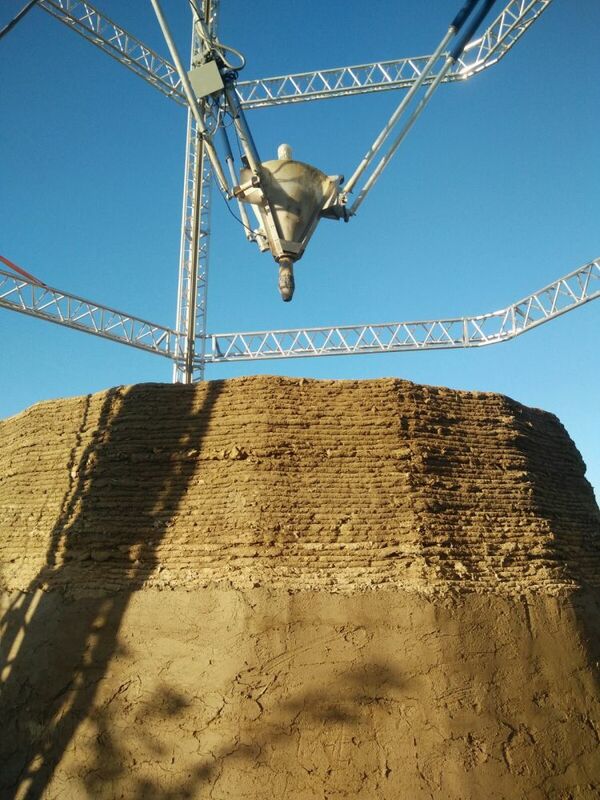 3d-printing for the first time in the world a soil and straw building, predictably, it’s been hard, extreme in some way, but at the same time incredibly exciting considering the results already achieved. The list of the problems faced and constantly solved every day in the experimental camp in Massa Lombarda (Ravenna) is too long: let’s mention some of them. The main goal was to develop an extruder able to lay down scores of mixtures, to verify if the machine mechanism was able to stand a continuous work of material deposit, to solve the problem of the material loading after a significant high, to supervise the extruder during the printing phase, to face printing interruption and recovery, also connected to material pick up, to protect the wall from the rain in case of storms, and more. These are some of the difficulties we faced and solved. 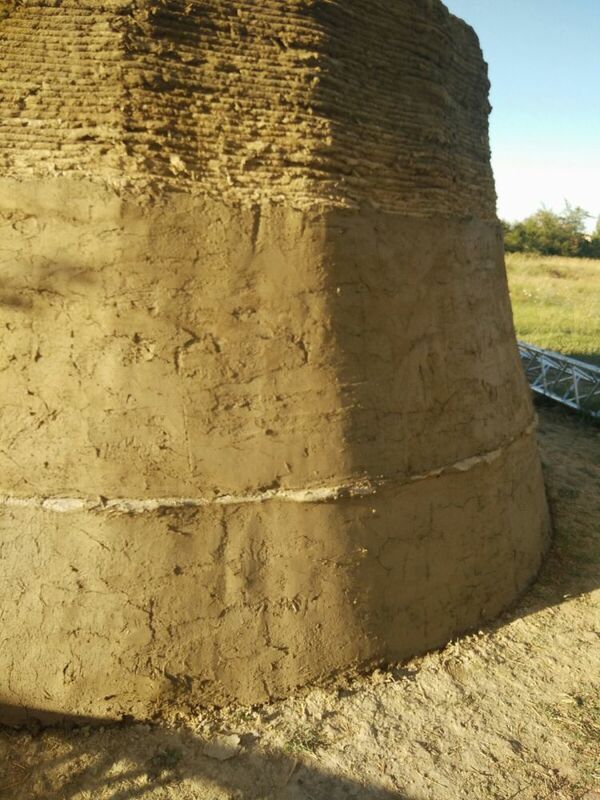 Here some data: we printed 270 centimeters of clay and straw wall, 5 meters diameter, using 40 tons of material. Layers are, overall, 135, with an average weight of 300 kilos each; time to create a layer: 20 minutes. Concerning the consumption, we talk about 2 cubic meters water and 200 Kwh. Now, the costs: 32 Euros for the energy, 3 Euros for the water, 10 Euros for the straw, 3 Euros for motor hoe gasoline: total 48 Euros. Want to save more? Using the feet instead of the machine for kneading, the energy consumption lower by 90%. 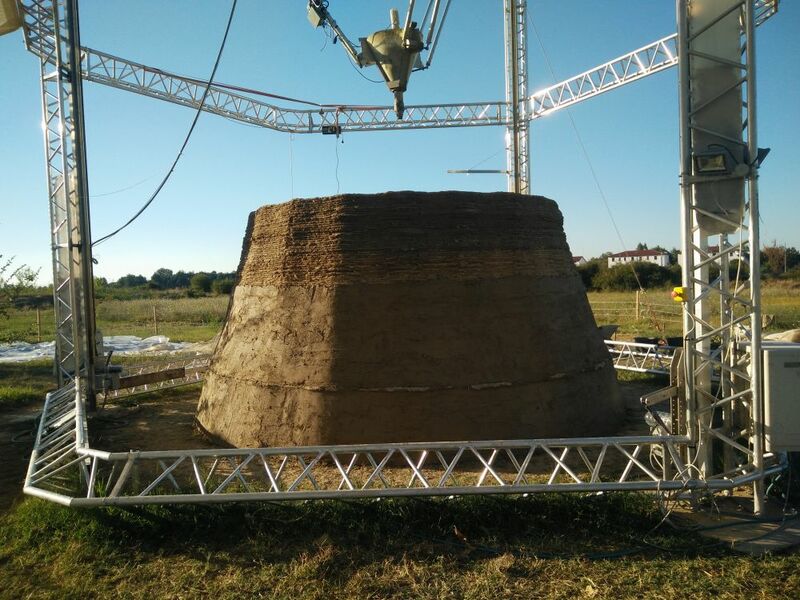 “Clay and straw with no additive can be easily printed in 3d – Moretti says -. The period of transformation from liquid to solid allows to print around 60 centimeters per day, or even more in the summer (maybe one meter per day). Therefore: two men and one machine can 3d-print a comfortable and healthy shelter in a very short time and with really little money”. Fixed the mixtures, the wall is of high quality. Seen the initial analysis, it can bear strong stress, while the abundance of fiber guarantees its endurance. 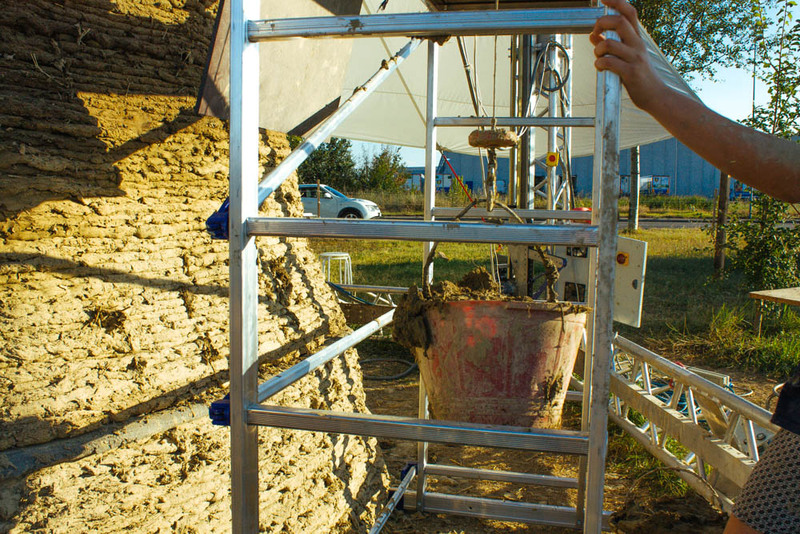 The relationship between weight and performance originated from clay and straw doesn’t seem to require additional support for the walls. To avoid the plaster placer mining we used 10% lime. “When the work starts again, we will raise the wall until 4 meters, then we’ll create the door and build the roof. 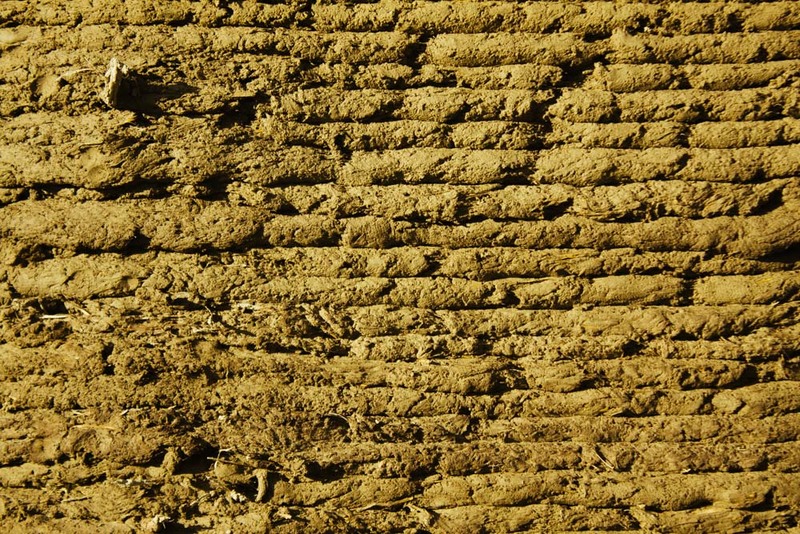 In the future we will test new materials and continue the research on soil and straw – reveals Moretti -. New challenges in the improvement of systems for cheap and fast material preparation are coming. The printer is doing its job and after the last changes in kinematics we will modify something in the extruder too. 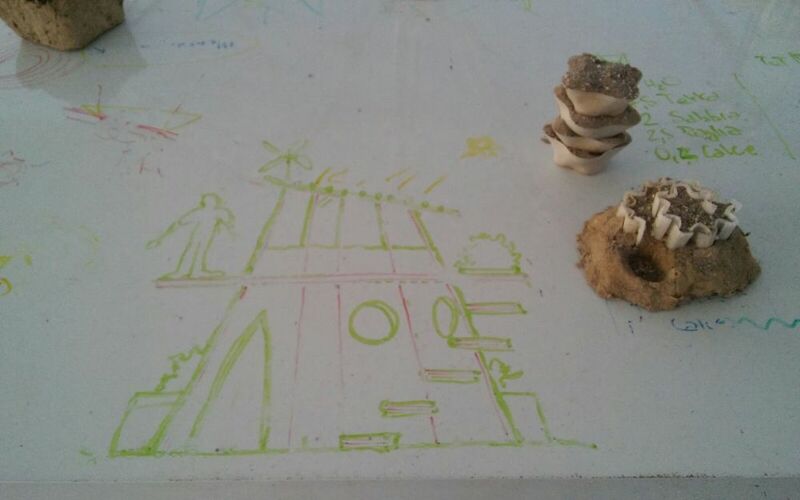 The aim is automating the system and giving the machine the possibility to print a shelter in few days. The goal is just around the corner”.